The 13th International Conference and Workshop on Algorithms and Computation (WALCOM) is intended to provide an international forum for researchers working in the areas of algorithms and computation. WALCOM 2019 will be held during February 27-March 02, 2019 at Indian Institute of Technology Guwahati (IIT Guwahati), India. Department of Mathematics, IIT Guwahati is organizing WALCOM 2019 as a part of the Silver Jubilee celebration of the Institute. To provide an international forum for researchers working in the areas of algorithms and computation, the first Workshop on Algorithms and Computation (WALCOM 2007) was held on February 12, 2007 in Dhaka, Bangladesh and was organized by Bangladesh Academy of Sciences. WALCOM 2008, WALCOM 2010, WALCOM 2012, WALCOM 2015 and WALCOM 2018 were held in Bangladesh; whereas WALCOM 2009, WALCOM 2011, WALCOM 2013 and WALCOM 2014, were held in India. WALCOM 2016 was held in Nepal and WALCOM 2017 was held in Taiwan. The name of this conference has been changed as Conference and Workshops on Algorithms and Computation since WALCOM 2017. 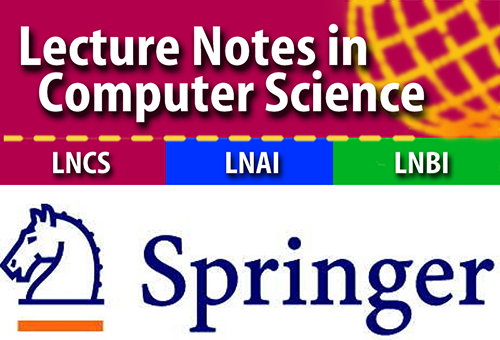 The proceedings will be published by Lecture Notes in Computer Science (LNCS). Special issues dedicated to WALCOM 2019 will be published at Journal of Graph Algorithms and Applications and Theoretical Computer Science. It is being organized in cooperation with IEICE Technical Committee on Theoretical Foundations of Computing (COMP) and the Special Interest Group for ALgorithms (SIGAL) of the Information Processing Society of Japan (IPSJ). March 26, 2019: Photos uploaded. February 21, 2019: Proceedings are available. December 24, 2018: Political clearance from MEA. September 19, 2018: Call for Sponsorship. September 15, 2018: The Paper Submission Portal is now Closed. May 18, 2018: Paper submission portal is open now.